Summary: Two dead bodies changed the course of my life that fall. One of them I knew and the other I' d never laid eyes on until I saw him in the morgue. The first was a local PI of suspect reputation. He d been gunned down near the beach at Santa Teresa. It looked like a robbery gone bad. The other was on the beach six weeks later. He 'd been sleeping rough. Probably homeless. No identification. A slip of paper with Millhone s name and number was in his pants pocket. The coroner asked her to come to the morgue to see if she could ID him. But as Kinsey digs deeper into the mystery of the John Doe, some very strange linkages begin to emerge. 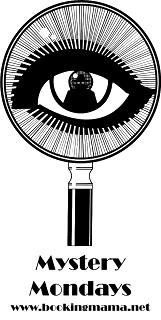 And before long at least one aspect is solved as Kinsey literally finds the key to his identity. And just like that, she says, the lid to Pandora s box flew open. It would take me another day before I understood how many imps had been freed, but for the moment, I was inordinately pleased with myself. At the beginning of 2013, I read KINSEY AND ME by Sue Grafton, and I was totally blown away. I had read many of her Kinsey Millhone series, and I always enjoyed them, but I really got to see her skills at writing in this collection of short stories. Then, I was fortunate enough to meet Ms. Grafton at this year's BEA, and I absolutely adored her. She was positively delightful! So it was with much excitement that I sat down to read her latest novel W IS FOR WASTED. In this 23rd novel in the Kinsey Millhone series, Kinsey becomes involved in the deaths of two men -- one, an unidentified homeless man who just happened to have her name on a piece of paper in his pocket; and the other, a dubious private investigator that Kinsey knew from her past. At first, they seem to have no relation to each other; however, as Kinsey begins digging into their deaths, she discovers a complex path that ties these two men together. 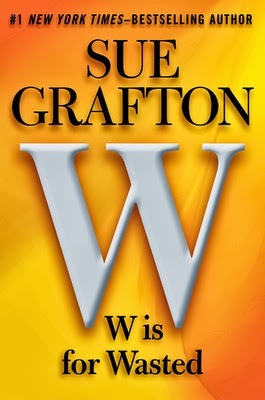 I am pretty sure that fans of Sue Grafton will definitely enjoy W IS FOR WASTED. Like all of the Kinsey Millhone books, this one is extremely entertaining and full of surprises. I especially appreciated how "smart" the mystery was, and it took me quite awhile to figure out the tie between the two stories. And even when I started to see where the story was going, it was still even more convoluted than I thought! I also liked that a fair amount of story related directly to Kinsey and her personal life. I am a huge fan of Kinsey and I truly think Ms. Grafton has created one of the most special characters in fiction! I love the way she works and solves her cases, but I also love how complex she is. There is no secret that Kinsey has some baggage, especially as it relates to men and her family. In W IS FOR WASTED, Kinsey is forced to reevaluate what she's always thought about herself and her place in her family. Another thing about this series that I've come to enjoy more and more as I've gotten older is the time when the story occurs. It takes place in the eighties and I love all of the references this time period. It might seem like a long time ago to many of you, but I still remember not having computers, mobile phones, and more. 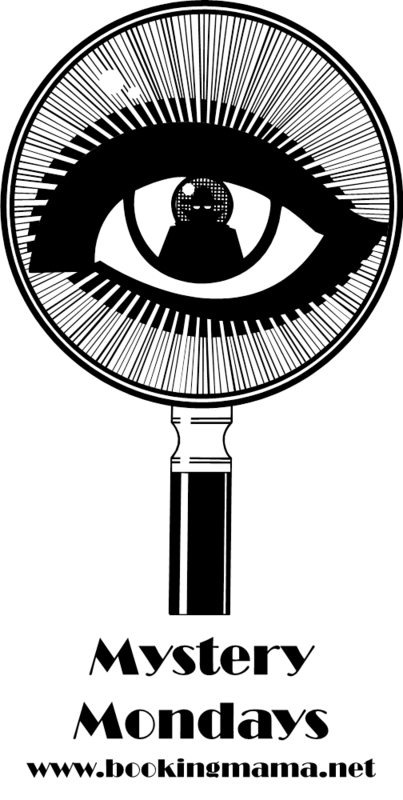 It does bring an entirely different approach to solving a case by today's standards. I hate to even mention this, but I wouldn't be entirely honest with my review if I didn't mention this one thing. W IS FOR WASTED was really long. I'm talking almost 500 pages long! I'm not a big fan of "chunksters" and usually I tend to steer away from them. Maybe it's just me and my phobia, but I thought this book could have been about a hundred pages less and still worked. Overall, I thoroughly enjoyed W IS FOR WASTED, although I admit that my reading experience was bittersweet. I am terribly sad that Ms. Grafton is running out of letters, and I sincerely hope she has a plan to keep Kinsey alive and well for many more years! Way back before blogging, my neighbor gave me all the Kinsey books up through...something like P. I binge-read them all, and really got attached to the characters. So obviously I'm going to have to read this one, maybe on audio since it is so long. This is awful, but I always wondered if the author would LIVE long enough to finish the series. She has spent her entire life writing them! Just to be safe, she needs to stop writing them so long, and take care of business. I read these when they were first published and got through H or I then got distracted with other series. After that, I popped in and out of Kinsey's life. I hope to read W via audiobook. I'm just getting started in this one and reading about Kinsey and Henry is like visiting old friends for me. It is a big book, though! I have never read this series (hangs head in shame) and I am just too intimidated by all those letters between A-W!! Would it be possible to skip over some of them and still understand the MC? Like if I read the first few that set up the premise of the series and then skip over a bunch to the middle of series? Anyone here have an opinion on this?